...Through an understanding of the history of the period, we can gain a deeper insight into the significance of Chanukah itself. With this goal, we shall approach our historical inquiry into the events of the period. For information, we are indebted primarily to the books of Maccabees I and II the authors of which lived relatively close to the time of the miracle (in the case of I Maccabees), or drew upon contemporary sources. The authorship of these books is unknown, but they were undoubtedly written by staunchly loyal Jews. Although there is evidence that I Maccabees was originally written in Hebrew, both books were available only in Greek and Latin for over 1500 years and came down to us through gentile hands. For this reason, the two books were largely unknown to Jewish chroniclers and commentators until recent times... Despite the fact that the books of Maccabees are not mentioned in virtually any early classic Rabbinic work, we may assume that Jewish scholars would have accepted them, because they are cited by the great commentator to the Mishnah, R' Yom Tov Lipmann Heller (Tosefos Yom Tov, Megillah 3:6), and by the great halachist R' Eliyah Shapiro of Prague in his magnum opus Eliyah Rabbah to Orach Chaim 671:1. I know of only three other relatively early Jewish scholars who had access to Maccabees: R' Azariah min HaAdomim (De Rossi) in his Me'or Einayim (Imrei Binah ch. 16, 25, 25, 51, 55); and the disciple of R' Moshe Isserles, R' David Ganz (in Tzemach David, part I, year 3590). Nevertheless, it is fair to assume that such scholars would not have cited the books of Maccabees unless they were convinced of its reliability. The reader should bear in mind that the period of Scripture was sealed prior to the events of Chanukah. No later book, even if it were historically accurate and true to the underlying spiritual theme of events it chronicled, could have been canonized. Consequently, the status of Maccabees as an apocryphal work does not, in and of itself, prove that it is not reliable. In general, I'm not into the genre of "ArtScroll-bashing" - for the most part, ArtScroll is simply catering to the needs, desires and sensitivities of their readership, as well as understandably desiring to avoid trouble. But analyzing ArtScroll does afford an opportunity to understand the dynamics of the Orthodox community (as Dr. Yoel Finkelman has shown), and there are a number of observations to be made with regard to these paragraphs. First, it's fascinating to see how sources are conferred with the status of "traditional," or its equivalent level of kashrus - something that I also have to do quite often. We are first assured that the authors of Maccabees were "staunchly loyal Jews." Then a justification is given for these works not being cited in classic Rabbinic literature. We are then told that prestigious later rabbinic authorities did make use of these works, and thus must have been convinced of their reliability. This also provides the importance assurance that had Chazal and the Rishonim had access to these works, "we may assume... that they would have accepted them." Finally, we are told that the stigma of being "apocryphal works" does not disqualify them "in and of itself," since they were written too late to be canonized. It's quite an elaborate set of justifications. Also of interest is the statement that the citation of Maccabees by various Acharonim shows that they were convinced of its reliability (and hence we can also be convinced). What exactly does "reliability" mean in this context? Historical accuracy, or kosherness in Orthodox circles? It's hard to see how the citations by various Acharonim confer the former, so I assume that it means the latter, but I'm not certain. Then, as I started to read the list of Torah scholars cited as endorsing Maccabees, I was intrigued to see R' Yom Tov Lipmann Heller as the first such authority cited. After all, he also quotes from R' Azariah De Rossi, a scholar whose name is anathema in many Orthodox circles, following the vehement condemnation of De Rossi by Maharal and (reportedly) by R. Yosef Caro. Reading on, I was flabbergasted to see that De Rossi himself is one of these authorities cited to show that Maccabees must be reliable! While it is encouraging to see that he is presented as someone who can be relied upon to show that something is reliable, it does raise some interesting questions. For if a source is "reliable" because it was quoted by R' Azariah, then we can also add a number of others to the list of works that Torah Jews can consider "reliable," including the works of Augustine, the works of Sebastian Munster, and the works of Annius of Viterbo (which are, ironically, completely unreliable). Finally, if the Books of Maccabees are being quasi-canonized as reliable, traditional works, then what does this mean with regard to the reason for Chanukah lasting eight days? For II Maccabees explains the eight days of Chanukah not in terms of the miracle of the oil, but rather as due to the first Chanukah making up for the eight-day festival of Sukkos not having been celebrated in the Beis HaMikdash that year. And Josephus, who is also mentioned in the ArtScroll Chanukah, had a very surprising explanation as to why Chanukah is called "the festival of lights". This is a problem that has been hotly debated in recent years. For a variety of perspectives, see Rabbi Dr. David Berger's article, the comment thread on this post, R. Josh Waxman's discussion - and if anyone has any other useful links, please submit them. Now, of course it is to be expected that an ArtScroll work is only going to present the view of the Bavli, that the reason for eight days of Chanukah is due to the miracle of the oil (which is also presented in Megillas Antiochus, of uncertain antiquity). But it is interesting that when presenting that account (on p. 55), it adds that when this happened, "they celebrated the rededication of the altar for eight days and offered up peace and thanksgiving offerings." Where did this come from? Note that much later in the work on p. 95, when discussing the famous question of the Beis Yosef regarding why we have eight days of Chanukah rather than seven, it quotes Megillas Taanis (in the scholia - later additions) that there was an eight-day rededication celebration, and then cites Birkei Yosef as saying that the extra day that we celebrate commemorates this rededication. But Birkei Yosef did not quote Megillas Taanis as saying that there was an eight-day rededication celebration, and with good reason: because it does not say any such thing! As well as describing the miracle of the oil, Megillas Taanis says that it took eight days to repair the vessels of the Beis HaMikdash - not that there were eight days of celebrating its rededication. (Furthermore, Birkei Yosef does not give this as a reason for an eighth day, supplemental to celebrating seven over the miracle of the oil, but rather he says that the eight days of repair are the reason for all eight days of the current festival, and that the question of the Beis Yosef is therefore redundant!) It therefore seems to me that on p. 95, ArtScroll has subconsciously replaced the view of Megillas Taanis with the view of II Maccabees. I disagree with you about Artscroll - they have an achrayus towards the tens of thousands of Jews who take what they say about Judaism at face value. By distorting is, they trivialise Judaism. One such example is where thye lied about R. Zevin's position about Medinat Yisrael - they took out the words 'ashreinu shezachinu lec'kach' from their translation of Moadim Behalacha, and claimed that he had expressed his regret at writing this in his later years. When his relatives were asked if this was the case, they denied it vehemently. If you can't do a job honestly, don't do it at all. And fear of terrorists is no excuse. Their epsoused disregard for the hard work of academics is also inexcusable. For readers not familiar, there are significant differences between I Maccabees and II Maccabees that are important to consider. As far as I know, neither was found among The Dead Sea Scrolls. Would our observance of Chanukah be different if our accepted history of Chanukah and the miracle was different (ie. is this an academic or practical discussion)? On a side note, if no historical sources mention the miracle of the oil other than the Gemara, do we need to accept it actually did occur, and if so: why? Off the top of my head I could think of several reasons that the Gemara would misrepresent the events (ex. to avoid giving militant sects in Judaism support). I basically agree with J., I mean isn't portraying history wrong a crime. It is interesting , I am currently reading making of a gadol, and he specifically quotes so many Gedolim (including the Lubavitcher Rebbe, which is of particular interest to me because I am a lubavitcher chassid) saying how history needs to be told as it happened, as opposed to glazing over the parts you don't like. and skip facts is wrong. Unless they want to put a sticker on the book saying this book should only be read by close minded chareidim. To ban a book for your community is NOT fine. Any community which tells its members: "This you may not read, this you must not know, this you cannot learn, this you shall not hear" — that community does not deserve members. When you blindfold and seal and control a human mind, you control everything else about the person: you make a slave. Kate: the rebbe$ and RY$ are laughing all the way to the bank. I came across Maccabees I & II by mistake when I was doing some research online. I found it fascinating that there was this account which was considered a “goyish” book, but which detailed Jewish history, and even had the story of Chana and her seven sons (killed for not bowing to the idols) which is taught to all the little children in school (to traumatize them?). I told a couple of my chareidi friends about it, and they were shocked as well. I told them it was called “apocrapha” and although the only versions we have are in Greek and Latin, it is believed that they were originally written in Hebrew. My friends were about as confused as I was about it. They quickly forgot about it, as it didn’t fit into their neat and narrow ideas. But I was left confused. I am still confused, and would very much appreciate some help understanding the difference in both the history and canonization (or lack thereof) between Mishnah, Gemara, various Midrashim and the Apocrypha which relate Jewish stories, such as Maccabees I & II. You'd be surprised what you can sometimes find in charedi works. Sometimes the writer (or editor) is just blissfully unaware of the implications of what he's writing. In situations like this, it's often best not to bring it to their attention or else they will immediately retract and the masses will suffer. 1. Megillat Taanit does not mention the miracle of the oil at all. Its mention of Chanukkah is very brief and mentions no history. What you are thinking about are the "scholia," or additions, that were added at a much later date. (If you look in the Bavli "Mai Chanukkah," you'll notice that the cited "b'rayta" suddenly shifts from Aramaic to Hebrew. That's because what they are citing is Megillat Taanit, the Aramaic being the original and the Hebrew being the additions.) In fact, there is even some debate as to whether the *additions* originally mentioned the oil miracle. 2. As pointed out, Artscroll was a lot different back then. Their edition of Tzena U'reena thanks JTS in the introduction. And on topic here, their book of "Early Acharonim" (or maybe "Rishonim") actually *includes* De Rossi! Sure, they mention that there was a controversy, but he's right up there with the others. You still see this sometimes, as in their discussion in the Ramban on the size of a shekel- they even include a photograph of a coin- and places in their Gemaras, especially, interestingly, the Hebrew version. The real history is (as here) usually "kvetched" a bit to make it "frummer," but it can be there. Of course, nowadays it's much more rare. 3. In answer to the comment, you wouldn't find Maccabees among the Dead Sea Scrolls probably because the sect there *really* didn't get along with the Chashmonaim. That's why they were living in the desert. Interestingly, in light of what Artscroll writes, Ben Sira is both there and quoted in Chazal, and it was written well *before* the Maccabees- so the excuse that it wasn't canonized because it was too early doesn't really fit. 4. To Michpaset: There isn't room here to answer your question, but the book by R' Shnayer Leiman is probably a very good place to start for your questions. 5. As pointed out, the two books (there are close to a dozen books of Maccabees total, but only the first two are very worthwhile) are actually pretty different. The first was written in Israel, in Hebrew, and is more nationalistic and less religious. (Although the author certainly was.) By the way, it also mentions Sukkot as the reason for eight days. Another good reason for the eight days is that Moshe, Shlomo, Chizkiya, and Ezra all took that long to dedicate or rededicate the Mikdash, and fire played a part in each one. The second book was written in Africa (perhaps even before the first, and perhaps edited from a larger work), in Greek, and is more religious. (As a professor I know put it, think Artscroll vs. modern Israeli historians.) They don't disagree so much, but have different viewpoints. 6. Re: Peskita: Not only is the Bavli the first to mention the oil (over 650 years after the events), but sources from Israel don't mention it for many centuries after. 7. Shaar Press is used today for anything that discusses 20th Century history. After all, you can't do that without mentioning the State of Israel, and that Must Not Be Done in an Artscroll book. So, for example, Artscroll did a series called "The World That Was." All the volumes that were about pre-war Europe were by Artscroll. The volume about the US (which included "controversial" things like YU and its rebbeim) was Shaar. I suppose I'd go easier on Artscroll if they were at least honest in their dishonesty. Whoops, of course you're right, it's the scholia, not Megillas Taanis itself. That was very sloppy of me! I don't fine Josephus's explanation surprising at all. What might be surprising is that the holiday is called "lights" and not "dedication", but that he looks for an explanation outside of the lighting of candles is not really shocking. We light candles on shabbos, and they lit the menorah every day in the Beit Hamikdash... so the question has to be, why is this holiday called lights but not those other events. To that, Josephus gives an explanation. It is also clear from the gemorah that not everyone was lighting candles the same way, so there might even have been less lights being lit than on shabbat. I don't think these things are inadvertent. While writing my PhD on parshanut Shir Hashirim, I read through the bibliography at the end of Artscroll's version. That list includes one "Eiger Chumash", which (unbeknownst to most Artscroll readers) is quite explicit in explaining the canonization of the Song: The "real" reason is given in opposition to the allegorical interpretation: "Lefikhakh nikhtav, shenitchabev la`olam". IOW, SoS is in the Bible because it's popular! As there is almost no mention of the allegory in the commentary itself, but it was still obviously used to some extent by R. Zlotowitz, I guess he knew what he was doing. I'm not sure what you mean by "unreliable." Are Augustine's works not written by Augustine? I take the artscroll's explanation to be excluding among others the possibility that xtians wrote the text hundreds of years later claiming to be maccabees and trying to present it as Jewish. That seemed to be the general theme of their authentication, not that every single word in the text must be absolutely 100% objectively Torah Truth from Sinai because an Aharon cited it. It appears the author of the text in question may have been a soldier in the guerilla army. Annius of Viterbo published a compilation of works allegedly by Philo and many others. However he fabricated them. De Rossi, along with many others, fell for it. To add to the list of Achronim who accept the Book of Maccabees: The Aruch HaShulchan (א"ח: ס' תרע:ה) not only brings the book (as ספר חשמונאים) but accepts it's understanding outright that the reason for Chanukah being 8 days is due to the reason mentioned there that it wasn't the miracle of oil but the reconquering of the beis hamikidash and the celebration of a "late sukkot," and that Chazal accepted their celebration because of the Miracle of oil showing divine acceptance of the new holiday. Regarding Nachum's point 3: an alternate explanation for why neither book of Macabbes was found among the Dead Sea Scrolls is, as Shanks concludes from an analysis of the number of copies of each book found, that the Qumranites were not much interested in historical books. 39 copies of Tehillim were found, for example, but only 4 of Shmuel, 3 of Shoftim and Melachim, 2 of Yehoshua and 1 each of Divrei ha'Yamim and Ezra/Nechemia. Also, based on what I have read (Vermes's 2010 book most recently) I agree with your final sentence in point 3 that the timing excuse does not compute. Interesting. Seems that the yeshiva an chareidi world is following the Qumranites. They too, have little idea about history and barely study it-and Nach!- and love tehillim! Regarding Michapeset’s query and Nachum’s response in point 4, I again recommend the 190x Jewish Encyclopedia article online. It is long, but provides an excellent summary. “I Maccabees, now extant only in Greek, was originally composed in Hebrew or Aramaic, most probably the former; but the original can not have been long in circulation. [...] Critics are practically unanimous in attaching great value to I Maccabees as a historical record. "On the whole, the book must be pronounced a work of the highest value, comparing favorably, in point of trustworthiness, with the best Greek and Roman histories" (Torrey). [...]the author is silent concerning the worst excesses of the (Sadducean) high priests, and attaches primary importance to the founder of the dynasty, Mattathias. Mattathias is unknown to II Maccabees, though the latter is supposed by Geiger to be a Pharisaic counterblast to the Sadducean I Maccabees. Yet, strangely enough, in the Pharisaic tradition of the Talmud and Synagogue Mattathias plays a large part, so large that Judas is thrown into the background. II Maccabees was written in Greek. For the history of the war it is of less value than I Maccabees [...] It adds, however, important particulars regarding the events that led up to the Maccabean revolt. Besides this, II Maccabees, written quite independently of I Maccabees, is a strong support of the general truth of the familiar story of the revolt, though II Maccabees is embellished with angelical and miraculous ornament foreign to the first book. Its style is rhetorical, its purpose didactic. It emanated from Alexandria and was addressed to the Greek-speaking Jews of the Diaspora. It was designed to impress on them the unity of Judaism, the importance of Jerusalem as the center of religious life, and the duty of observing the two feasts of Ḥanukkah and Nicanor's Day (nullsee Nicanor). That the book has a Pharisaic color is undoubted, but not in the sense of being a partizan pamphlet in reply to I Maccabees, which, indeed, the author of II Maccabees most probably did not know. “The Second Book of the Maccabees opens with two letters written by Jews resident in Palestine to brethren dwelling in Egypt. [...] The author is a religious teacher; he did not write for the sake of the history as such. This places his work in a very different class from that of I Maccabees. In the earlier part he supplies some welcome information not contained in I Maccabees, and in nearly every chapter are interesting facts—some of them confirmed by Josephus—which may, with caution, be used. I know what I'm getting you for Hanukkah next year: the updated edition of the Artscroll Hannukah book! Artscroll indeed has distorted Judaism and Jewish history, BUT they have done great work in bringing at least some Jewish tradition to the masses. Arsscroll has indeed brought much Jewish tradition to the masses, BUT they have done so at the expense of misrepresenting authentic judaism and distorting history. 1. The 8 days came first (through some combination of a delayed Sukkot and the fact that the precedent for the mishkan and 1st temple dedications was 8 days). 2. The miracle of the candles was a DISAPPOINTMENT to all those involved. They were expecting a fire-from-above manifestation of the shechina as per the prior dedications. The miracle of the self-fueling candles was the MINIMUM manifestation possible (the schechina always manifests as flame), and hence was not initially stressed. 3. The primary accomplishment of Hanukkah was the political independence which had not been achieved since the 1st exile (derived through sources as diverse as the Rambam and the Sfas Emes). This also explains why the holiday was not established until 'shana acheret' - the battle for independence lasted for tens of more years. After the 2nd exile, this independence was lost and the theme of the holiday shifted to the miracle. "Annius of Viterbo published a compilation of works allegedly by Philo and many others. However he fabricated them. De Rossi, along with many others, fell for it." I see. Well, on the other hand, no one makes such a claim about maccabees 1 or 2. So in such a case, de rossi (and other authorities) citing it is relevant. If there were such claims, as in the case of Viterbo where it is well established by the scholars, citation by de Rossi (or other authorities) becomes irrelevant. I guess there are a lot of things to pick on them about with this work, and you've pointed out a bunch of them, but this one in particular just seems to be nitpicking, to me. If they made such an authentication-by-citation on a work that was actually proven falsehood by scholarly consensus, it'd be a much greater problem and something to talk about IMHO. From what I've read, it's not really so clear-cut that Maccabees 1 is sadducee-aligned. Despite the quote you cited, it really doesn't jump out as a sadducean polemic. For example, the fact that the author did not jump to highlight the kohen gadol corruption or some of the political machinations prior to the revolt as a way to promote pharisaic pov, does not make him a saducee adherent with something to hide, necessarily. On the other hand, he very well might have been a saducee (the hashmonaim themselves became sedukim within a few generations after the victory, I think), yet it doesn't necessarily mean there is any content in the work that actively promotes a saducean viewpoint vs the pharisaic or vice versa. On the point about Judah hamacabee, we (Jews) today would have no idea that he existed or who he was if not for the xtians copying over these texts. IH - Thank you. I read your selected excerpts, and then read the whole thing on the link you provided. It was very informative. Thank you for the reference. Nachum – I’m having a hard time finding a copy of Rabbi Shnayer Leiman’s book for less than $83, which is out of my price range for one book. I wouldn’t mind reading a secular/academic work if its accuracy could be relied upon. Thank you. Michapeset, Rabbi Leiman is also Professor Leiman and his book *is* secular/academic and cited in most other works on the topic. That sounds like a bit much for a paperback...they sell it for a lot less at the YU sefarim sale. Maybe from the publisher? There are also shiurim of his on the topic on the YU website. In any event, most of the standard books on the Bible should be able to help you in this area. Nachum - Yes, I realized he was a professor when I did searches for his books. The lowest price I found was on Amazon for $83. Anyway, I will look into other books on Jewish Canonization of texts. Thank you. Thanks to this discussion, I dug out my copy of the 1985 English edition of "The New Jerusalem Bible" and read I Maccabees for the first time (w/ Tanach to hand). What an extraordinary and compelling story -- worth reading! I am hoping to find the time before the end of Chanukah to also read II Maccabees. Student V: yes, see the JE article in its entirety (and consider it was written 100 years ago within the scholarly context of that time). The only miracles described in I Maccabees are military. The actual Chanukat Beit ha'Mikdash does not reference any miracles. I Maccabees 4:36-59. Speaking of scholias, it's interesting that the main text is in Aramaic and the scholia in Hebrew. Seems to call into question some of the assumptions made about whether or not Hebrew was spoken in EY, specularsions about wrigint Torah she-be'al peh are not convincing to me, because the Mishnah was not written initially either (and perhaps not for hundreds of years). As far as Artscroll, this is a similar problem that anyone who is interested in learning who branches out of the first 8 dafim of the yeshivishe massechtos eventually encounters. Torah is intertwined with so-called non-traditional sources, sometimes directly and sometimes separated by only a degree or so. The conclusion was that Maccabees I is quite accurate, Maccabees II much less so. Predictably, it was the Jewish academic who was the skeptical about the accuracy of either book. I tend to read Maccabees 1 and 2 before Chanukah each year. When it describes the Spears and Helments reflecting the light in front of the altar, I can't help but see that as a miracle of oil. Of course, you literalists won't see it, but in terms of literature and poetry, it's very striking. It struck me the first time I read it, and it strikes me that way every few years or so. "On the point about Judah hamacabee, we (Jews) today would have no idea that he existed or who he was if not for the xtians copying over these texts." Regarding Saducee vs Pharasee... When I read the books, except for the religious assurance in battle, I don't get much of a "Zealous" or "super religous" feeling from the Maccabees. They remind me more of "Braveheart", who do not want their culture to be lost, and by a fluke accident of rage, they start a war and find the confidence and conviction to carry it out. All in all, the remind me more of Ben Gurion than Yeshivat Hesder. "It appears the author of the text in question may have been a soldier in the guerilla army." I get the impression that the writer is writing "for the next generation" some 40- 100 years after the events took place. He covers a 30 year history, and then eludes to another book, already written, which covers the next phase in the history. One has to "kasher" Maccabees because otherwise, you have no helek in Olam Haba, right (hakore besfarim hitzoniim)? But reading it as a history book shouldn't be a problem, especially if some Acharonim referenced it. BTW, Beit Shamai connect Chanuka to Succot in their opinion that one should lower the number of candles each day (kneged parot hachag). There are many parallels, not just the number of days. Several Rishonim point out that the miracle of the oil wasn't such a big deal, as the same thing would regularly happen to the Ner Maaravi even in Bayit Sheni. If that's what Chanuka was about, we wouldn't have a holiday. I would like to read the books of Maccabees this Chanukah. Is there a good (free?) English translation available on the 'net that anyone can suggest? Adam, you can find 1 Maccabees at http://www.sacred-texts.com/bib/apo/ma1.htm and 2 Maccabees at http://www.sacred-texts.com/bib/apo/ma2.htm . I cannot vouch for the quality of the translation, though they do have the Greek versions, too, if you can read those. Both these classes use Macabees I (and II) as a primary source (included on the source sheets) and are based on Rabbi Shulman's rabanim Harav Yoel Ben Nun and Harav Yaaqov Medan who are probably the leading authorities on the synthesis of archeology, history, linguistics and Torah scholarship. 1) The Macabees chose to celebrate for 8 days for reasons related to Sukkot and the timelines of the dedications of the Mishkan and beit Hamikdash. The oil lasted 8 days because that is how long it needed to. 2) Chanukah was established immediately as a holiday celebrating the political independence of the Jews and their temple for the first time in the 2nd Temple period. Theologically the importance of autonomy over Har Habayit is highlighted by the profit Chagai. Rambam also brings political independence as the first item in describing Chanuka. Political independence is why we say Hallel on Chanuka and not Purim per "Hellelu ovdei hashem v'lo ovdei Yavan". 3) The miracle of the oil was the minimum possible manifestation of the Shechina. The Macabees were expecting a full Eish like the dedication of the Mishkan or Beit Hamikdash and were undoubtedly disappointed hence no focus on candles/fire at the inception of the holiday. The switch of the focus of Chanukah to a spiritual holiday/miracle of the oil did not take place until after the Churban (Rav Ben Nun reads "BeShana Acheret" that way) when political independence was lost and spirituality and the message of post-biblical national Hashgacha was all that was left. 4) The date of the 25th of Kislev was chosen by the Macabees because that was the date the Greeks held a public celebration to defile the temple 3 years earlier. The Greeks chose this date because per Chagai, that was the date the (re)construction of the 2nd Temple began. "39 copies of Tehillim were found, for example, but only 4 of Shmuel, 3 of Shoftim and Melachim, 2 of Yehoshua and 1 each of Divrei ha'Yamim and Ezra/Nechemia." And zero copies of Esther. "The only miracles described in I Maccabees are military." Reciting *al hanisim* is a reminder of Who is really in charge. "The reader should bear in mind that the period of Scripture was sealed prior to the events of Chanukah." Awhile back, I recall reading in the "Birnbaum Siddur" that the Book of Maccabees was read by the/some Italian community/communities during Hanukkah. Could someone confirm this for me, since I don't have access to a copy of that siddur? If this is correct, it suggests that a book could be "authoritative" or at least "accepted" while not becoming "canonical" for most of rabbinic Jewry. This point could also apply to texts like "Jubilees" or the various "Testaments of the Patriarchs," all of which are known from Qumran - here we have apparently "authoritative" books that may have functioned as "scripture" for the Qumran community, but may not have been known/cited/authoritative for other Jewish communities at the time. Words like "authoritative" and "scriptural" and "canonical" should always be used with extreme caution, and so arguments in favor of the "sealing of Scripture" at such an early point should be taken with a grain of salt. The actual ancient evidence suggests that such processes were far more complex. Michapeset - If you have access to a library or InterLibrary Loan, you should be able to get Sid Leiman's book for free. Great topic and Happy Hanukkah! The condescenion to Rabbi Goldwurm z'l nd the Art Scroll projects are uncalled for. R.Goldwurm was first and foremost a huge talmid chacham and a chasidishe yid. Back in 1960 this synthesis was rare, and he made a tremendous impression on those who knew him, both for his brillian intellect,and for his sweet and friendly personality. He was a European born Belzer chusid, English was not his native language and he had no graduate training in philology or history. Against this background you can begin to appreciate his greatness in being open to realia and secular knowledge when he established the methods for the Art Scroll talmud. He went only so far because he was a lamdan, not a classicist or a secular Talmud scholar; & assuming he knew more than he wrote, because he was chacham, and well integrated in the torah world, far removed from post charedi sensibilities. Nichnas beshalom veyatza beshalom, free of controversy, he moved the interface between the traditional yeshivish way of learning and the new methods of scholarship in the right direction, never calling attention to himself, and never bringing down the wrath of the rabbinical establisment as occurred with the Steinsaltz talmud. His much too short life is an exemplar for all of us. DF above is not me, the usual DF. Yannai: That's all very good, except working the miracle into that sequence is a bit of a kvetch. You're taking a story that dates from over six hundred years later and working it in only because you don't want to lose it. Charlie: They may have had ideological issues with Purim. Or maybe not. Michapeset: The Birnbaum Siddur is discussing (and includes) "Megillat Antiochus," a medieval work based on Maccabees and the Talmudic account. It's not really relevant to this discussion. You wrote: "It's hard to see how the citations by various Acharonim confer the former [reliabilty], so I assume that it means the latter [kosherness], but I'm not certain." I think your uncertainty is quite warranted. I think for many people, if a famous acharon relies on a book, it must be, by definition, accurate. It's unimaginable that a famous acharon could rely on a book that wasn't. Either the acharon would have been smart enough to realize it wasn't accurate. Barring that, Hashem simply would never have allowed an acharon to mistakenly rely on an inaccurate text. I've met many many people who think this way. (Why else, for example, do Lubavitchers think Rambam's scientific statement are true and holy? Simply because it's unimaginable to them [or to their Rebbe -- since they all just follow his view] that the great Rambam could have relied on faulty Greek wisdom. "I've met many many people who think this way. (Why else, for example, do Lubavitchers think Rambam's scientific statement are true and holy? " While shopping for chanukah supplies, I saw some "Rambam oil" being sold that will cure your various ailments. 1. Rabbi Slifkin, what do you think about the Book of Judith? It is another apocryphal book available free online in English (or in your local KJV bible). The story in familliar, but I noticed one difference between its account and the account my rabbi told us in a women's hanukah lecture. While there is a prevalent custom of eating cheese on hanukah because Yehudit fed the general salty cheese to make him thirsty, then wine to make him sleepy so she could behead him. The Book of Judith says that she fed him meat, claiming that she could only dine with him if she supplied kosher meat. The purpose of this ruse was so that when she brought the general's head back to the city, nobody would suspect her of killing him, because they'd assume it was leftover meat in her bag. Should we be eating meat instead? 2. Hanukah is mentioned by name in the New Testament, where Yeshu entered the Temple on the Feast of Dedication and declared, "I am the light... no one can come to the father but through me." Ameteur - Judah Hamaccabee is not mentioned in Al hanissim. We would not know who he was if not for xtian monks copying the texts for many generations. Sad but true. The "culture" the macabees were trying to preserve was a religious Jewish one, so in my mind it makes no sense to view them as secular or to compare them with ben gurion in that respect. None whatsoever. What you call a "fluke accident of rage" was no accident at all and it was a very zealous act. Further you claim that all they cared about was the tradition and halacha as they understood it - well that's called being religious and zealous. I don't know if you're trying to paint them as secular as a way to justify the lack of canonization of the texts or the general ignorance of them in the yeshiva world, but whatever it is, it would be very clear to anyone who reads maccabees 1 just how religious its author and the hashmonaim were. Being "warlike" militarily skilled does not preclude religioisity. A neglect of these disciplines weakens the religion, as Rambam writes the temple was destroyed in part because chchamim were too busy learning meaningless astrology instead of the art of warfare. On a different note, you then wrote that you think it was written 40-100 years later. Well if the guy fought as a 20 year old, that could make him 60 years old writing down "his" story so its not forgotten. Just my opinion. It seems very much an "insider's" account. Is there any chance that we could understand the description of II maccabees in light of this article? If MACCABEES is reliable, then the Spartants were descendants of Abraham: I MACCABEES 12:21. R' Slifkin, I think you left out the third authority Artscroll cites. Who is it? the custom to eat cheese in remembrance of Judith is in the Shulchan Aruch. Interesting discussion.Evenstown jew I did not detect any lack of personel disrepect towards R Goldwurm zl .I too ,have heard from people who knew him what an exceptional person and and gaon he was.How sad that we wernt zoche for him to have arichas yomim.I can't fathom the "gotcha" attitude of those who think that attributimg the 8 days to something other than the oil miracle is somehow a" pircha" to us irational traditionalists.There are enough main stream meforshim who go with these mehalchim that its accepted and spread even in the most chariedi of places. First, the period for dedicating a sanctuary always seems to be 8 days. There was an 8 day dedication in the desert when the Mishkan was dedicated, and also when Shlomo dedicated the first Temple. So it would appear natural to assume that a re-dedication would also be 8 days. Secondly, there is an aggadah in Massechet Avodah Zara - I'm doing this from memory, I think around daf 11 or 12 - which tells the story of Adam who creates an 8 day holiday around the time of the winter soltice, which is of course, right around the time of Chanukah. The Talmud identifies this holiday with the Roman Saturnalia, but nevertheless, it preserves a traditions of an 8 day holiday at the same time. Coincidence? I would like your opinion (and those of your readers). Regarding נס פך השמן, given that that it only appears in the Talmud, why should a 'Rationalist Jew' feel compelled to believe it actually happened? Don't we, in general, reject a literal (or historical) reading of miracles and stories recorded in the Talmud, often in favor of a metaphorical understanding? Why should this be any different? While the original menorah was damaged, they quickly made a temporary one of tin and used it during the eight days. If I'm not mistaken, oral traditions were fairly well preserved in the olden days. Also, if the story wasn't true, how in the world would it wind up recorded as a fact in the Gemara with no dissenting opinion? I'm not saying that the miracle definitely happened, but we also shouldn't always be so ready to dismiss oral traditions. 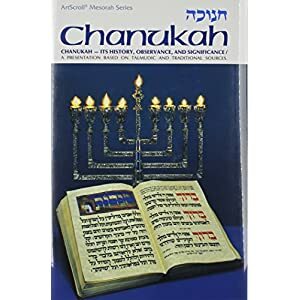 I also came across the Artscroll Chanukah book in my library a few days ago. It's a good book, but I also had to smile at the same laundry list of justifications you cited (and there are others, in the main text) for the same reasons. 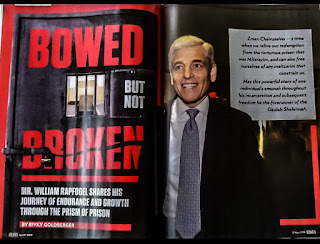 The ironic thing is, there's really no reason for Artscroll to do this. Artscroll DEFINES Jewish orthodoxy, for their segment of the public. Their readership is primarily ballei teshuvah and those orthodox Jews who have never read a book beyond their own narrow viewpoint. (To be sure, that's a pretty big segment.) They can cite whoever and whatever they want, and don't have to say boo to anyone. I had a conversation with Rabbi Shoshana, from Mechon Ofek, a few years ago. IIRC, he told me he once was careful about mentioning the name of Shadal in the shuls he spoke in. But he's since realized he doesn't have to worry about it, because nobody even knows who he was, so they don't know enough to realize he should be considered "controversial." In short, you can't be an amhaaretz if you want to be a kanoi. Michapeset writes: "ArtScroll .... started getting very “image conscious” and created a new company called “Shaar Press” a name under which they published all their “controversial” work – books by authors who were “controversial” – Rabbi Berel Wein, Rabbi Dr. Abraham J. Twersky, and eventually, when they started publishing their novels they put them under the “Shaar Press” name as well. This was more than a way of keeping up their image..."
This theory sounds reasonable, but is it more than a theory? Is there evidence behind it? Common business practice. Disney formed 'touchstone pictures' about that time for non wholesome movies. (They don't care about that anymore. Oh, just a little typo: "This also provides the *importance* assurance that had Chazal and the Rishonim had access to these works"
The ArtScroll writers apparently feel the need to justify themselves to themselves. LOL about Shadal. I once gave a lecture in a Young Israel about his perush on Bereshit and gave some examples of why some consider him controversial. I caught flak from an audience member, but the rabbi (a member of the Association of Orthodox Jewish Scientists) came to my (and Shadal's) defense. You are not quoting the מגילת תענית accurately. The חנוכת המזבח was a ceremony and a job, just like in the days of שלמה המלך. Your assertion that the view of II Maccabees regarding the reason for 8 days is incompatible with the Bavli is incorrect. See the peirush of the Rabbeinu Yehonasan MiLuniel on the Gemara Shabbos 21B as well as the peirush of the Nemukei Yosef. Both suggest a very similar idea to that of the Book of Maccabees. It is not just external sources that are suspect. The Vilna Shas mentions that a gadol, Rabbi Yeshua Ben Lavi thought that women should be allowed to say hallel and light Chanuka candles as they were included in the miracle. Obviously this is a pernicious Zaduki/Christian/Reform amendment. Clearly no Tana or Talmudic stage would have allowed women to take part in something of this nature. Isn't the opinion that Chanukah, and the Chanukah lights, were to make up for the missed Sukkos holiday brought down in the Bavli (Shabbos 21b) in the name of Bais Shammai? It makes me wonder if the author of Maccabees 2 was from Bais Shammai. A Biblical Zoological Riddle for Chanukah!